Before you buy a new sewing machine, you will want to compare sewing machines to find the best choice for your needs. Sewing machines have come a long way over the years, no longer are they merely for sewing hems or creating quilt tops. 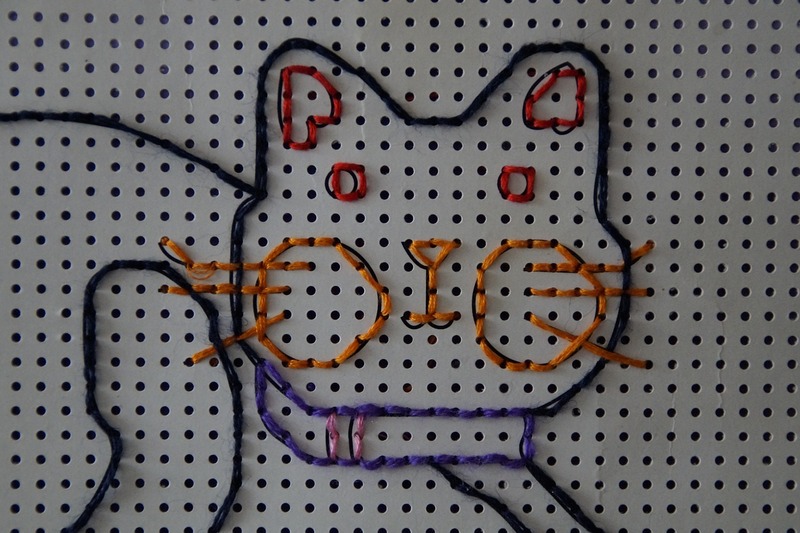 Today a home sewing machine can make fancy stitches, embroidery and much, much more. Choosing the best sewing machine for you will depend a great deal on what you plan to do with it. If you plan to sew a couple times a year and your designs will be simple, a standard machine will do the trick. However, if you are a craft master and plan to take on all types of projects, you will want something a bit more advanced. Your budget may limit your choices for a new machine. Sewing machines are like other electronics - they can range in price from cheap to expensive. Decide how much cash you can spare and then set your budget. Once you have a figure in mind, begin comparing machines that fit within your financial guidelines. Now that you have a good idea of what you will be doing with your machine and how much you can afford to spend, begin researching the different models available. The Internet will be your best friend when it comes to this research because you can compare features, cost and even reviews side by side. With a few clicks of your mouse, you can save specific information about each machine and refer to it later. This research will be helpful even if you are planning to buy locally. Simply print it off and take it to your local shop. While you may prefer to buy locally, take the machine home immediately and get sewing, you might find that online shopping will save you a ton of money. The Internet is prime ground for deals and specials you often cannot find anywhere else. Online retailers have a lot less overhead and can cut prices to benefit consumers. Reasons many people prefer to buy at a local shop are the classes and instruction often offered. 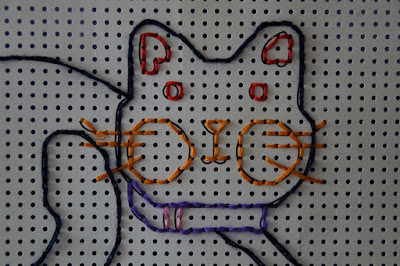 Perhaps you have never sewn before and want to take up a new hobby. What you want to remember to do is compare the increased cost of the machine versus the value of the class. In fact, you could buy a machine online cheaper, pay for sewing classes and still come out ahead. 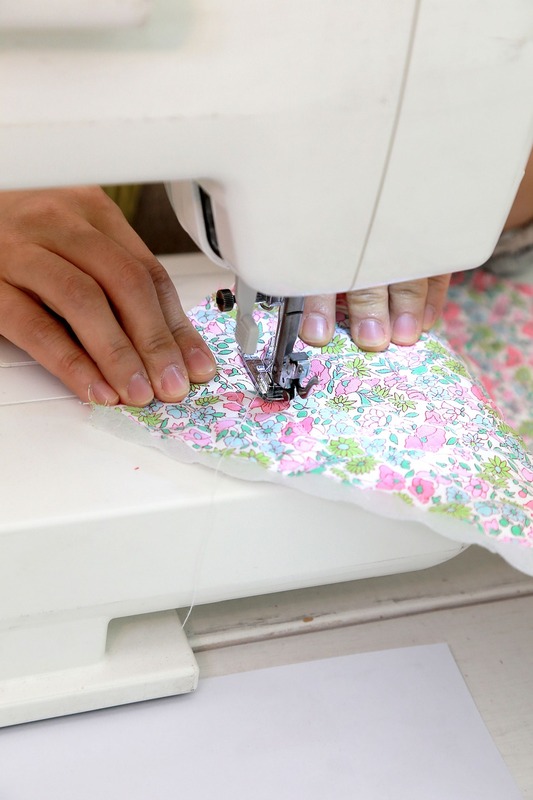 Sewing machines range from garden-variety disposables to full-blown embroidery and quilting machines that will run you several thousand dollars. Choosing the best one for you will depend on your wishes and available funds. Compare models carefully so you find the best machine to fit all your needs. 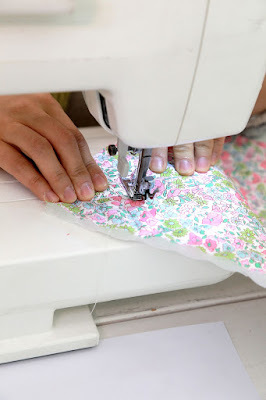 About Author Daphne Thomas shares more tips on how to compare sewing machines and some great sewing tips and techniques on her site at CreativeSewingTips.com. 1. Is your child a perfectionist? 2. Do they get frustrated easily? 3. Do they like following specific directions, or do they like to invent things on their own? 4. Are they able to stay on task for a block of time, or do they learn in spurts? Before we delve into the answers to these questions, it is important to remind you of the crucial point of our teaching. We are wanting to instill a desire for sewing, not just another thing that our child needs to learn how to do. So many times before we start something we think we need to know everything there is to know about it. Think about how our children learn the most important things in life. Did you sit your child down and explain to them the mechanics of crawling and walking prior to them doing it? If you do not know how to sew, the best way to give your children a desire to learn is for them to see you learning to sew. Another way, is for your child to see things that other kids have made. We have many friends who have expressed an interest in learning how to sew after they have seen something that our girls have made. So, no more saying "I just don't know how, or I don't think I can teach them myself". JUST GO FOR IT! NOW, back to the questions. Maturity level is an essential ingredient when considering how to work with the answers to these questions. I will use my own children, and a few other kids from families I have worked with, to show how the answers to these questions determine your initial approach to teaching. I will use different colors to represent the different girls. All of these girls had never sewn before. D. Not when working on own creation. Yes, when what she was doing was not her choice. B. She preferred following an example if she knew that one was available. If specific directions were on hand she would follow these. Always found great satisfaction in accomplishing the steps to instructions. D. Extremely creative. Preferred to invent her own creations. E. Wanted to sew clothes with a goal of creating her own patterns. A. If creating own thing, could stay on task for long periods of time. If following specific pattern, only in spurts. Based on each of these precious personalities, and their maturity level, this is how they started their journey of sewing. A. Was given a box of fabric and some stuffing. Was taught the basics of how to make the machine sew straight lines, putting the foot up and down, and pressure on the pedal. She was allowed to create whatever she wanted for 3 months before I asked her to follow a pattern. Her first pattern was for a quilt. She only worked on this project once or twice a month. All other times in the month were spent on her own creations. Because of the freedom given to her, she mastered straight lines and foot pressure very quickly. When creating on her own, she would spend blocks of time working diligently. During the times that we worked on specific patterns, she would sew and then would play or draw while I pinned the next step. Some days she worked for 15 minutes, other days she would last a couple of hours. Time was based on her interest. *Reminder: due to her age she was never allowed to use the sewing machine without me in the room with her. By age 5 she made her first dress. She continued to sew her own creations but at this time they actually looked like quilts and pillows. She just completed her first dress on her own (a little help from me with cutting and following the pattern), at the age of 8. B. Started with practicing straight lines and foot pressure on the pedal. She decided that she wanted to sew a teddy bear first. I was concerned about this because of all the curves and the fact that I had no idea how to make one. I drew the outline on some fabric, cut out the bear and she sewed around it. I told her repeatedly how difficult of a project this was which gave her a lot of confidence when we were done. After this I gave suggestions on some easier projects. She devoured them. Because of her desire to sew clothes, we literally learned to understand patterns together. The amazing thing was how easily we understood them due to the projects we did prior. (More about this in the next article: How To Choose Patterns) She would spend a minimum of 1 hour working on her projects. By the time she was 8, she was making her own dresses and sewing costumes. At 9, she was branching out into creating her own doll clothes without patterns. We practiced cutting off and on, but it was very difficult for her to get a good straight line. By age 10, she was doing all of it: cutting, marking, pinning, reading the patterns, and sewing. C. Started with practicing straight lines and foot pressure on the pedal. She wanted to follow whatever pattern I thought would be best for her. I picked something that was very simple and wouldn't be easy to mess up. We spent a lot of time encouraging her, and the lines had to be really really bad in order to rip them out. After several completed projects, her lines corrected themselves. She continued to follow a progression of patterns that built skills one at a time. Now she has the confidence to try harder patterns and isn't as concerned with perfection. She has also created some of her own designs. D. Started with teaching the basics: straight lines and foot pressure. Then gave her a box of fabric and let her go. She needed quite a bit of supervision, with gentle reminders about not sewing when there was nothing under the foot. She had no desire to follow a pattern; instead she made her own. She spent approximately 1 1/2 years sewing her own things. Her skills naturally improved and progressed in difficulty. Afterwards, she decided she wanted to try store bought patterns. Once she learned some of the basics for constructing these patterns, she was on her own again however, her projects became more involved and had a more finished look. E. Started with all of the steps. She wanted to learn everything in order, from laying out the pattern, cutting it out, marking, pinning, and sewing. She wanted to start with clothes, so I gave her several choices for easy dress patterns that would build skills one at a time. As you can see, each girl started with the basics of learning to sew straight lines and work the foot pedal but how they progressed in their learning was based on their unique personality. After they mastered these steps and were confident in their ability, the projects increased in difficulty in order to introduce new skills. This reduces the pressure to learn everything at once. With a first rate quilting machine produced by the Grace Company, you won't believe what a difference it can make in your quilting projects. As a quilting machine manufacturer that specializes in all leading brands of quilting machines, there is sure to be a machine that is the right fit for you. When you combine a quilting machine with a frame, you'll find that it is much easier to produce beautiful quilts that will become part of your heritage. 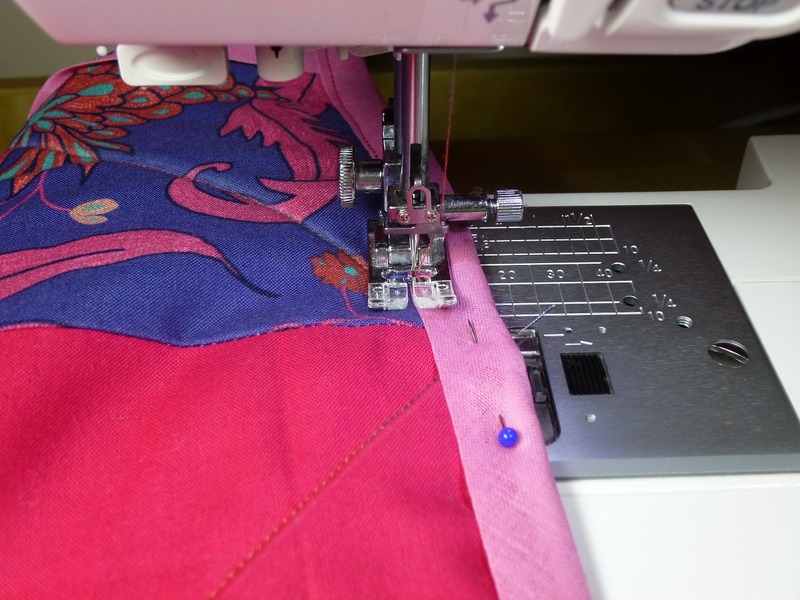 You'll be able to piece your quilts with ease as the machine sews your layers together. You can count on the expertise of a quilting machine manufacturer to understand the process of quilting inside and out. Let the Grace Company help you to indulge yourself even more in your favorite hobby. If quilting is a part of your livelihood, you really need to find out how a quilting machine can change your life. We invite you to come try out our new one the Qnique Quilter 14+ quilting machine. When you design a quilt and see it through to completion, you are leaving a piece of yourself that will be passed on to the future. Whether you are creating quilts simply for the pure joy of it, you give them as gifts, or you sell them in a shop, your quilts capture your imagination. Each one tells a storyand it all begins with you. Discover how the Grace Company can help you on the journey to becoming a dream maker. Learn more about quilting machines and find the machine that is the right fit for you. You owe it to yourself to find out how you can bring more quilts to the world.